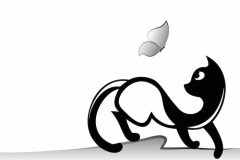 From ancient Egypt, where the cat was adorded and killing one meant death for the offender, to present day four-legged felines, the cat holds special meaning for many people. The ancient Celtic peoples believed that sacrificing a black cat would ward off evil spirits, while Japanese culture believes a raised cat paw or cat paws depicted alone offer good look. 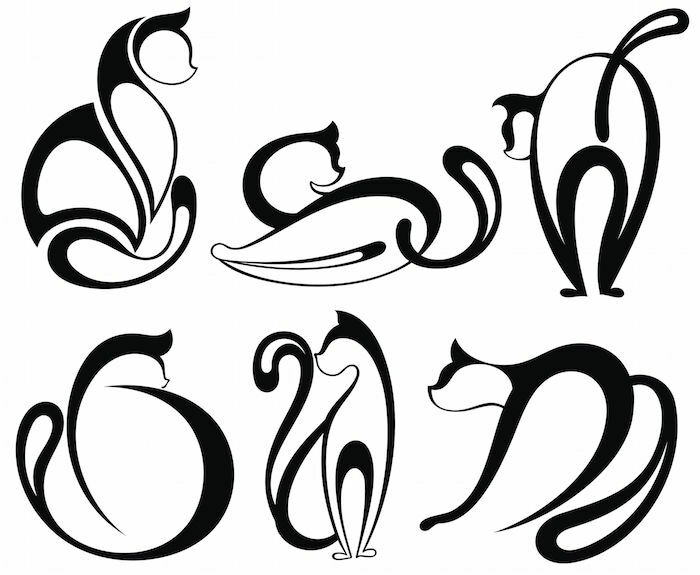 While considering what type of cat tattoo to get, discover the unique symbology behind multiple variations. 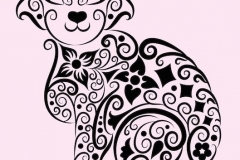 The design of cat tattoos differs greatly, depending on the message a person wishes to convey. Ranging from DIY prison tattoos to a simple cat eye tattoo, this type of art is steeped in tradition, dating back to ancient Egypt. 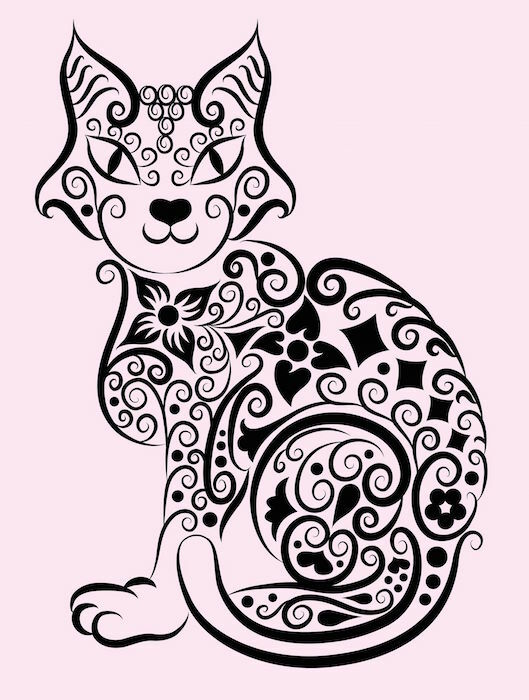 Thousands of years ago, the process of tattooing was imbued with ceremony and meaning, particularly when the tattoo, such as a cat, held spiritual symbology. Even now the Egyptian cat and lucky cat are very popular choices. What Does the Cat Tattoo Mean? 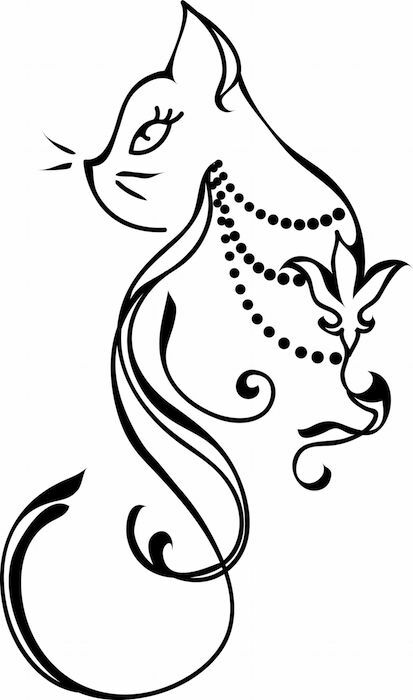 Most often, the cat tattoo is representative of luck, life after physical death, mystery, quiet intelligence and grace. 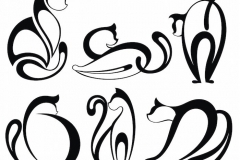 Of course, there are many variations of feline tattoos, all of which change the deeper meaning of the art. For some people, a cat tattoo can simply represent love for a deceased pet. 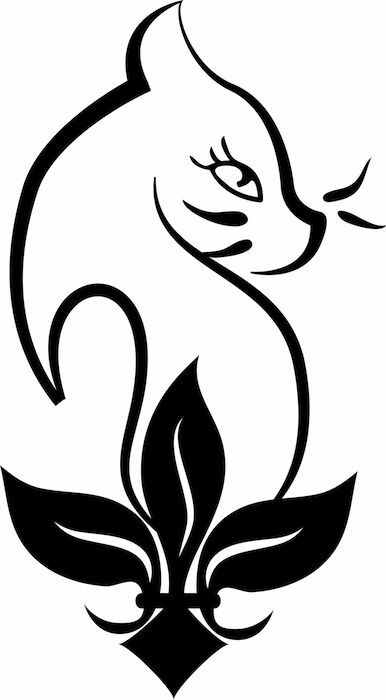 Many people with a cat tattoo have a love for all things exotic and adventurous, may reject authority or feel a need for a spiritual connection. Cheshire Cat – The Cheshire cat, a character from Louis Carol’s classic work ‘Alice in Wonderland’ , most often represents an inquisitive nature, a desire to seek the truth and a touch of mischief. As the famous cat said, “We are all mad here,” with a lopsided grin. The disappearing body leaves this grin to the last, showing a good-natured side and humor to the end. This tattoo can represent a whimsical nature, a love for the extraordinary or a wanderlust personality. Egyptian Cat – The Egyptian cat tattoo is most often worn by those seeking or who have found inner peace. This body art indicates a connection to the spiritual or afterlife, often representing a deceased love one or connection to someone who is gone. 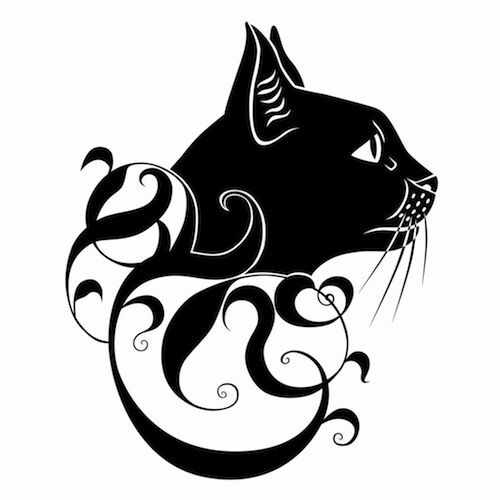 This tattoo may also represent the Divine Mother or Moon goddess, protection and a belief in survival of the fittest, as cats are predatory in nature. Cat Face – A depiction of a cat face can be indicative of love for a pet, person with a cat-like personality or independent personality. 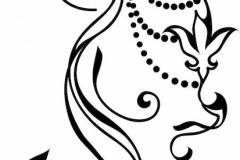 This type of tattoo may be part of a larger, more intricate design or sleeve. 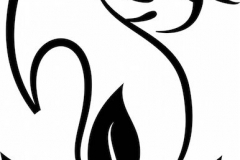 This tattoo may also be a symbol of feminism, beauty and grace. 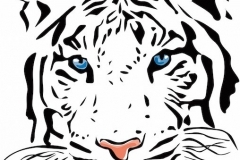 Cat Paws – The classic lucky cat paw tattoo hails from the old adage that cats have nine lives. Supposing this were true, it’s easy to see why cat paws are considered lucky, as cats are said to always land on their feet. 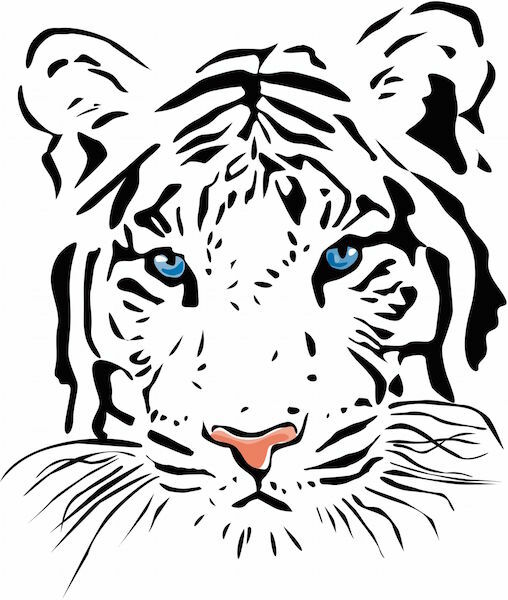 Cat Eye – The cat eye tattoo, commonly associated with Egypt, is not always indicative of the culture. The cat eye, like the human eye, is said to be a window to the soul. As cats are highly expressive and intelligent creatures, the cat eye is symbolic of ones inner workings, desires, proclevities and personal search for truth. Prison or Russian Criminal Tattoos – A cat prison tattoo or cat tattoos associated with Russian criminals are thought to indicate that the wearer is a prisoner or hails from prison, but may also mean the person was a thief. A single cat indicates a solo career, while multiple cats indicate the wearer is part of a group. However, in some cases, a prison or Russian criminal tattoo simply signify that a person believes he is cunning. The best placement for a cat tattoo is typically the arm, chest or back. In some cases, a smaller tattoo like cat paws or cat eyes are found on the inner wrist, at the back of the neck or on the top of the foot. In many cultures, different areas of the body are representative of balance, health and spirituality. Where a cat tattoo is placed is often linked to this type of belief system. 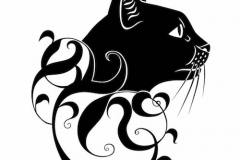 Most often, a cat tattoo conveys spirituality, thoughtfulness, cunning and creativity. 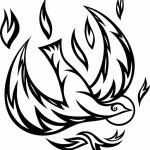 There is no limit to what a particular tattoo can convey, as long as the wearer spends time contemplating aspects such as color, shape, placement and tradition. If you wear a cat tattoo you are likely to be a very independent person. You may lean towards the feminine, are likely highly intelligent, creative and kind to others, as you are empathetic and sincere. You’re also very likely highly resilient when things don’t go your way and bounce back quickly from disappointment. You may be moody at times, feel best when working alone and like to socialize mainly on your terms. Reasons to choose a cat tattoo are always personal but can include a desire to seek out spiritual elements in your life, a belief in self-reliance, a show of feminine strength, an obstacle overcome, bouncing back from a bad situation and carrying luck with you wherever your adventures take you.